With models of active MEK1 now available, scientists can follow up with experimental methods to discover how the protein’s structure governs its function. 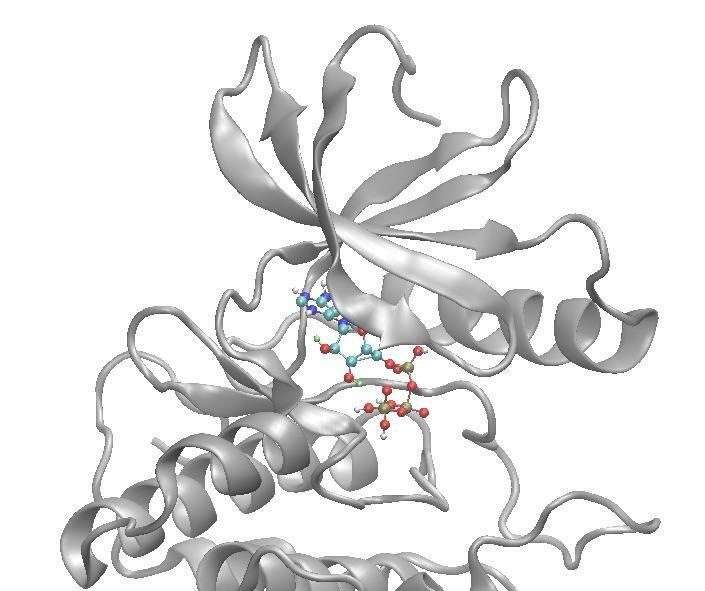 The combination of computational modeling and biochemical characterization of MEK1 and enzymes like it has the potential to provide new insights into drug development for tumor-specific therapeutics. This work is published in the “Women in Computational Chemistry” special issue of the Journal of Chemical Information and Modeling. Cal Poly is a primarily undergraduate university, and the research was conducted primarily by female undergraduate students. Read the paper in the Journal of Chemical Information and Modeling.